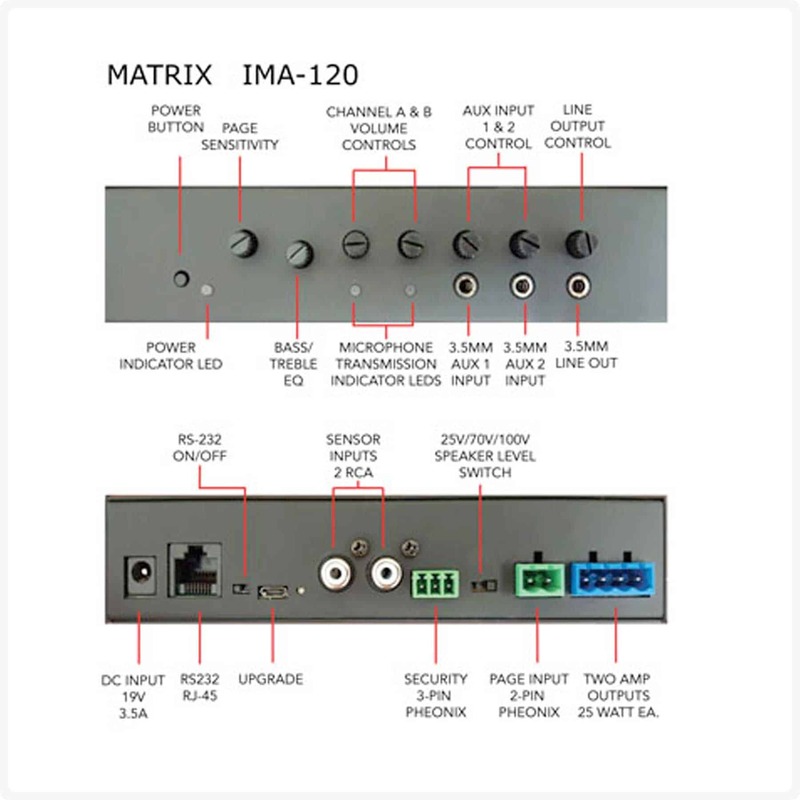 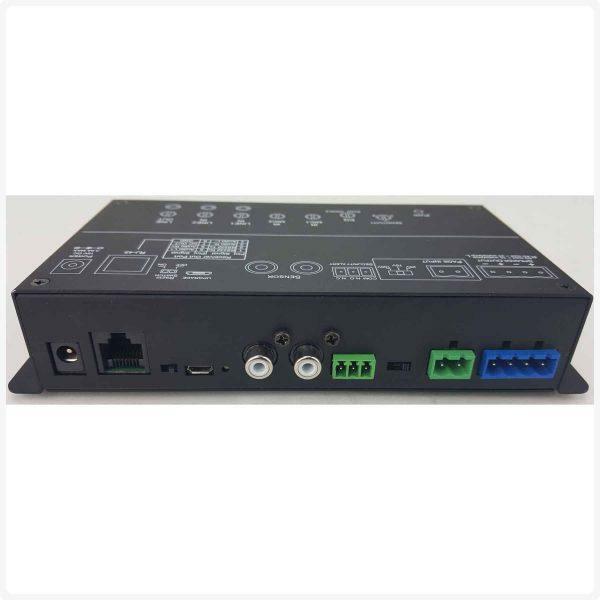 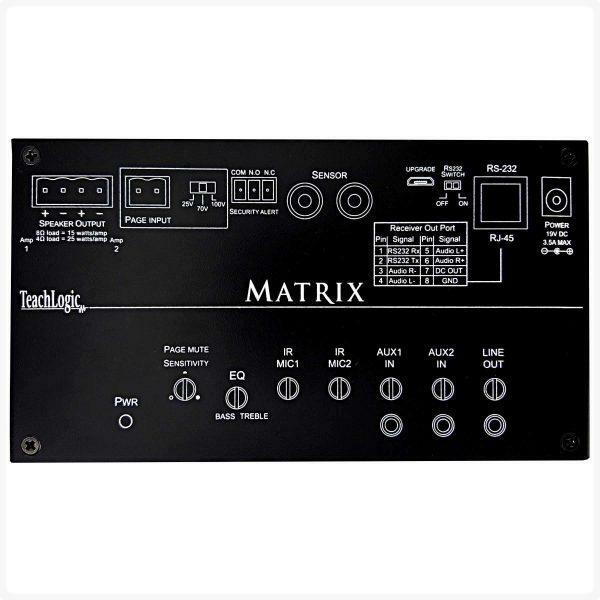 The Matrix is the answer to the need for a low cost, plenum application, high performance sound-field system that allows for remote adjustment of inputs via RS-232 wall panel controller. The Matrix receiver is ideal for plenum application. 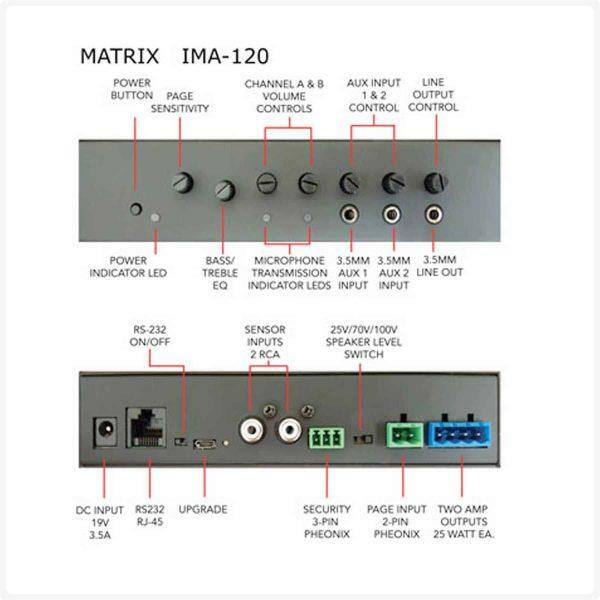 The Matrix is the answer to the need for a low cost, plenum application, high performance sound-field system that allows for remote adjustment of inputs via RS-232 wall panel controller. It has an easy wireless connection of a Bluetooth device (such as a Smartphone). 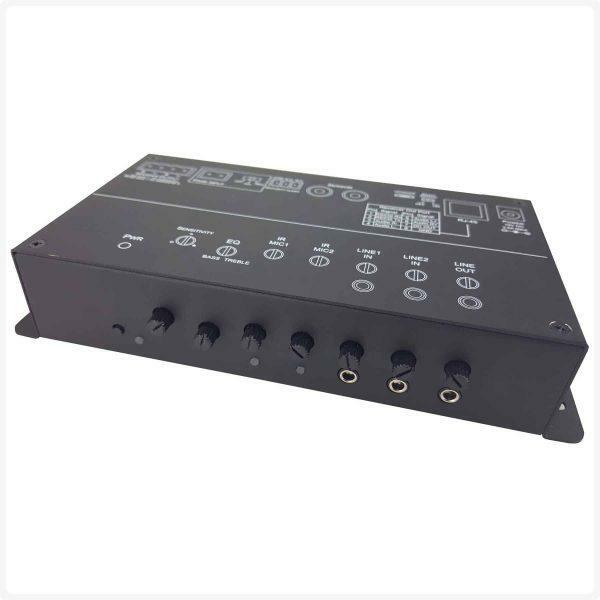 The two wireless microphone channels provide freedom of movement and permits hands free performance. 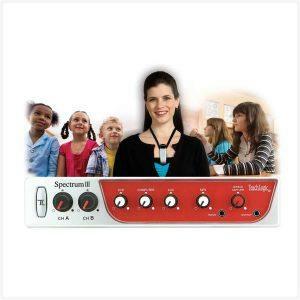 The two auxiliary inputs provide multimedia integration with even distribution of sound for all audio in the classroom. 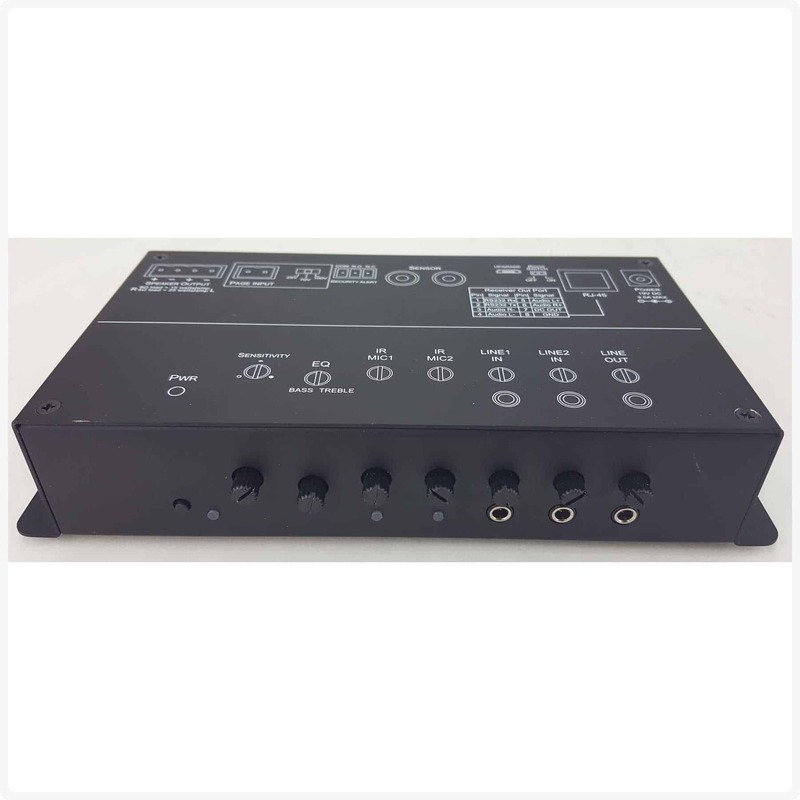 It has a separate output for Lesson Capture or Assistive Listening System.